Home - Website of Pet Helpers, Inc.
Pet Helpers is pleased to be able to offer spay and neuter assistance to residents of Marion and Taylor counties thanks to funds provide by the Peterman Foundation. For info email spayme@pethelpersinc.org. 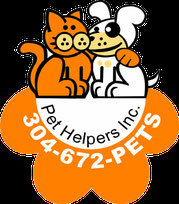 Pet Helpers, Inc is proud to be a Partner for Pets! BISSELL and LostPetUSA.net have teamed up to help organizations like ours raise money, and now you can help too! When you purchase pet products on bissell.com and enter the code ADOPT at checkout, a portion of your purchase will be donated to our organization! Back by popular demand. 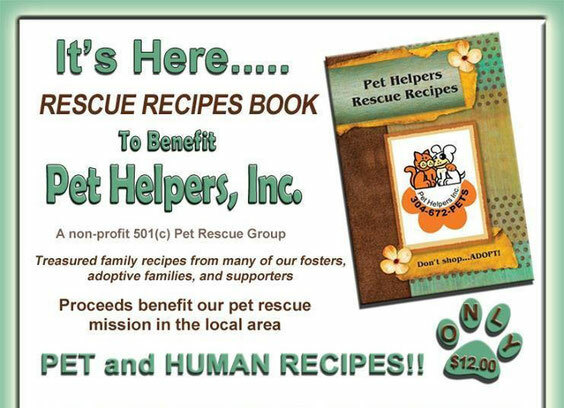 Maybe you are new to Pet Helpers and didn't get a cookbook the first time around. The price is $12 and for just $3 more, we will be happy to mail the cookbook anywhere in the USA. To order your cookbook(s) today, use the donation button on this page. Did you know we have a Wishlist on Amazon? If you purchase any of the items on our wishlist, they will be mailed directly to us. These items go directly to the care of the pets we have in foster homes waiting to find their forever family. Don't forget to use Amazon Smile and register Pet Helpers as your non-profit charity. Amazon donates 0.5% of the price of your eligible AmazonSmile purchases to the charitable organization of your choice. These are some of the donations we received this week! Thank you to everyone who has selected items from our wishlist to support our pets!